DIY Beauty Hacks: Do They Work? Makeup is a wonderful thing and a way to express yourself, your creativity, and your passions. 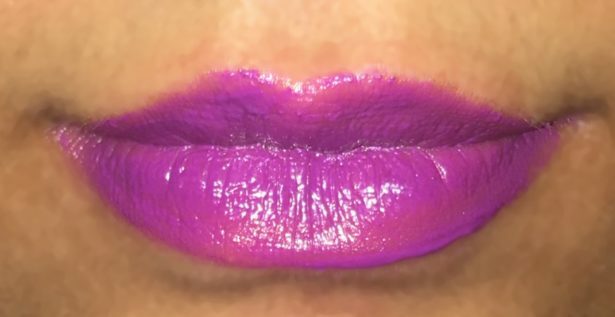 Crayon lipstick? Yes, you heard that right. Skip the payment for that gloss and buy some crayons (preferably Crayola) instead. This beauty hack recipe requires only crayons and coconut oil. The Youtuber, Madisradd, explains that this recipe is not toxic because Crayola crayons are created using non-toxic pigments and waxes and are safe for children, therefore, they are safe for your lips. 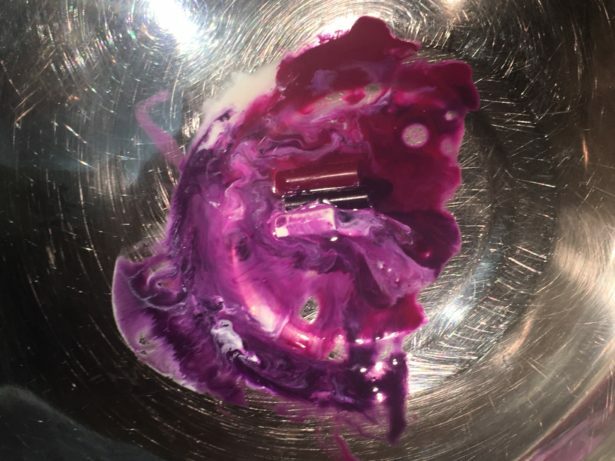 Create a double boiler on the stovetop and place 1/4 of the crayon colour of your choice into the bowl (preferably from the bottom of the crayon) as well as a 1/2 teaspoon of coconut oil. Try to add 1/2 a teaspoon of coconut oil for every 1/4 of a crayon that you put in the mixture. Let the materials melt together and mix gently with a popsicle stick or a spoon until you are happy with the colour and consistency of the product. Using an oven mitt, pick up the bowl and pour the lipstick liquid into a small container or pour your mixture into a measuring cup and pour the mixture into your container from there. 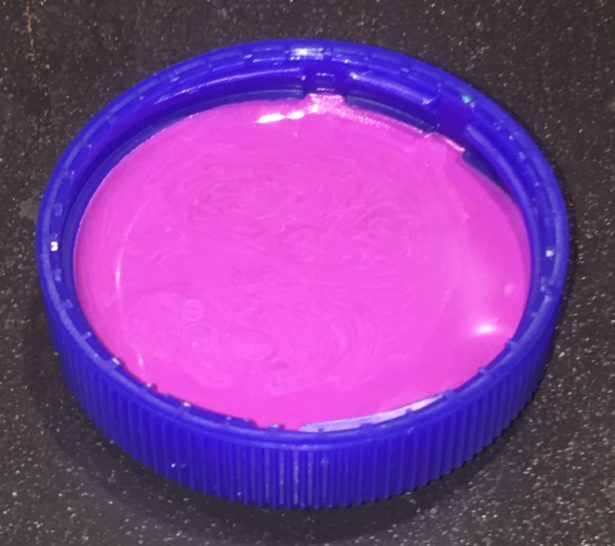 If you do not have a container (like me) then you could use a medium/large sized bottle cap to hold your mixture. Set aside and wait for the lipstick to cool and voila! 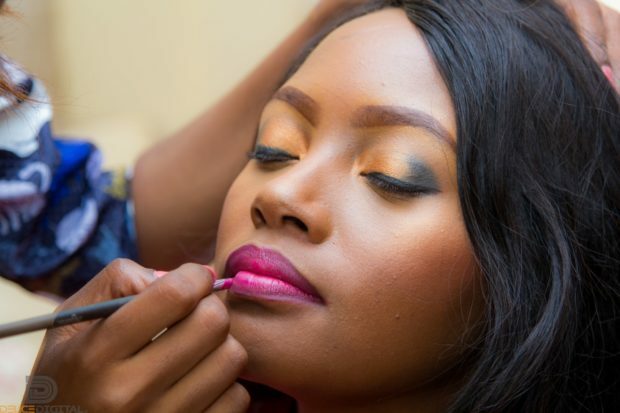 I found this makeup hack to be successful because the colour of my lipstick was very bright and pigmented and the formula felt very soft and comfortable on my lips. However, it was a bit patchy in some areas but that problem could be fixed by applying more product. 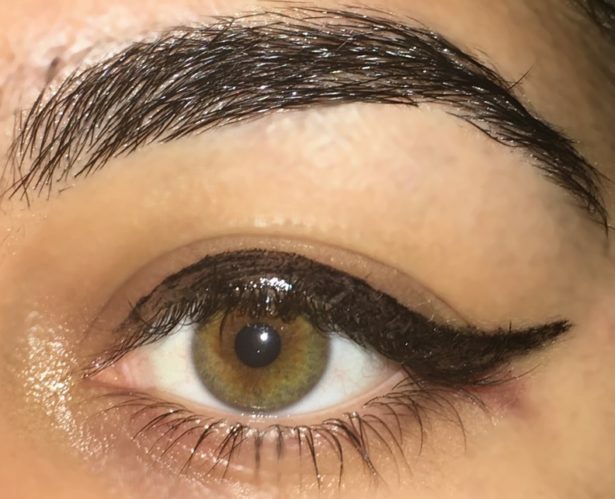 Need a dupe for gel eyeliner? Try out DIY beauty hacks using activated charcoal to give this eyeliner its black pigment. The Indian Spot provides a recipe which requires 1/2 an ounce of coconut oil, 1/2 an ounce of shea butter, and 1/2 a teaspoon of activated charcoal. For this makeup hack I did not have shea butter so I substituted that ingredient with Petroleum Jelly (Vaseline). 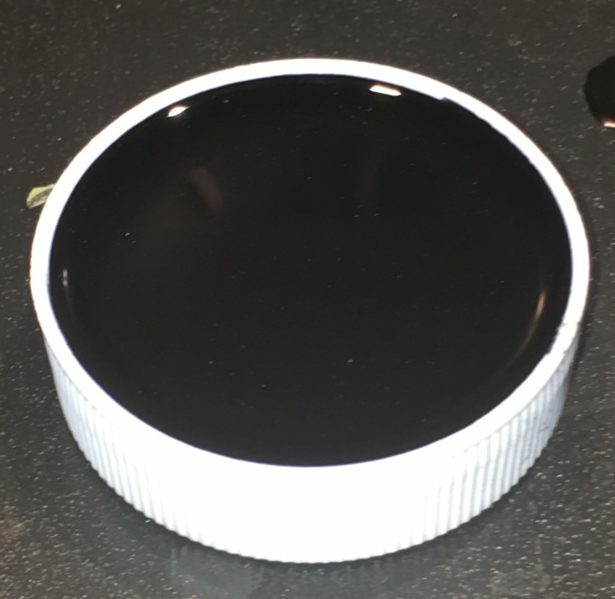 While I was creating my mixture I used 6 capsules of activated charcoal (which is more than the required amount) because I wanted my eyeliner to be extra pigmented and not too watery. Like the DIY lipstick, create a double-boiler on the stove and put all the ingredients into the bowl to melt together. Once they have melted together, use an oven mitt to either pour the mixture from the bowl straight into your container or into a measuring cup to transfer to your container. And yes, I used bottle caps again for the containers . . . I was very surprised at the outcome of the eyeliner because it was more pigmented than I expected and easy to apply. It was patchy in some areas but overall I was happy with the results. With the right brush it would be easier to create a sharp wing and fill in the inner corner of the eye, however, mistakes and thick edges can always be cleaned up with a makeup wipe or concealer. Unicorns have taken over this generation as they have inspired food, clothing, frappuccinos, and makeup. 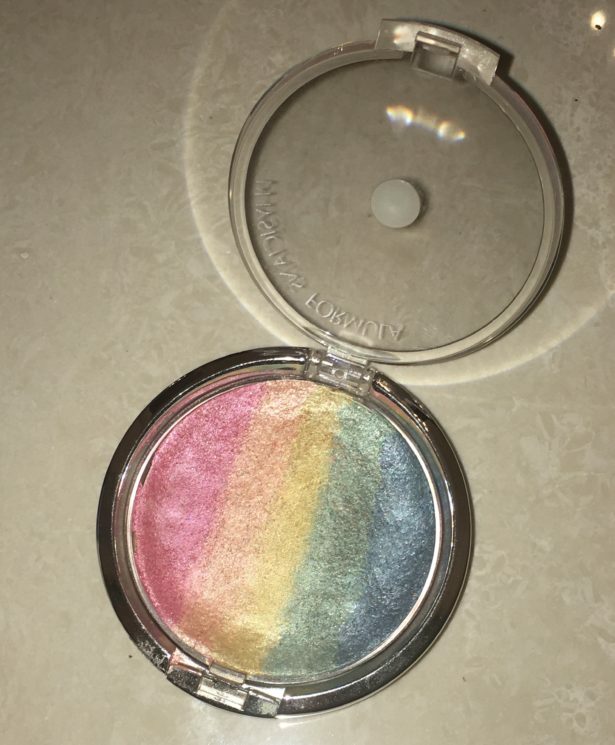 The rainbow highlighter is part of the whole mystical side of makeup and gives you that unicorn and lucky charm glow that, apparently, you have always wanted. However, it is hard to find this bad boy in stores and we all know the difficulties of online shopping . . . so, let’s make it! 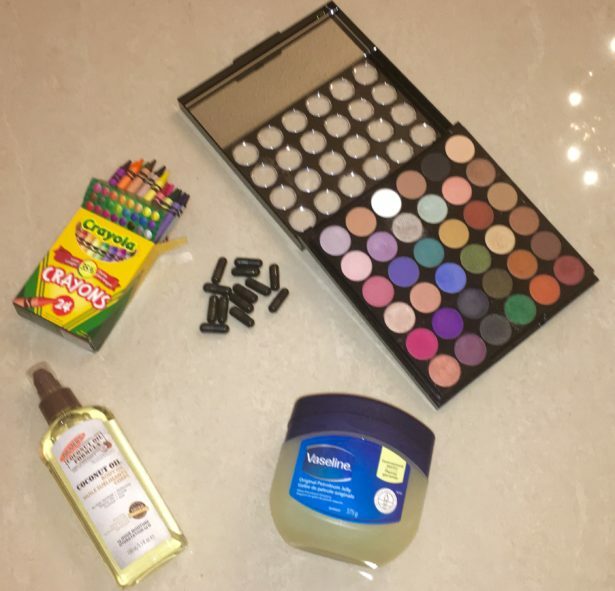 Kaleigh Baschal shares her recipe to aid rainbow highlighter beauty hacks which includes: a highlighter (deported), rainbow coloured eyeshadows, toothpicks (for mixing and constructing), droppers, 70% alcohol, wax paper (for mixing) and paper towel. First, choose the eyeshadow colours that you would like to use and remove some of each colour (you won’t need the whole pan so, please, do not destroy all of your eyeshadows). Separate the eyeshadow colours into separate containers. Remove all of your highlighter from the pan and, one eyeshadow colour at a time, gradually add the highlighter pigment to the eyeshadow pigment until you are happy with the colour of the new pigment. Do not use all of your eye shadow or highlighter pigment so that you will have extra just in case you need to thicken your mixture if it becomes too watery later on. Once you have your colours, add a drop or two of the alcohol into each colour with the dropper and mix with the toothpick (you can also mix it on the wax paper but I think the container is fine to use by itself). Add extra highlighter or eyeshadow pigment to your mixture if you think it is too watery. Once you are satisfied with your mixture, use the toothpick to place each colour into the empty highlighter pan one by one (usually it is done in a vertical fashion, but this is your highlighter so do whatever makes you happy). Once your colours are all arranged in the pan, get your paper towel and place it over the highlighter and press down for a minute or so to absorb the moisture of the alcohol. Take the paper towel off carefully, let the product dry for about a day and you have a rainbow highlighter! 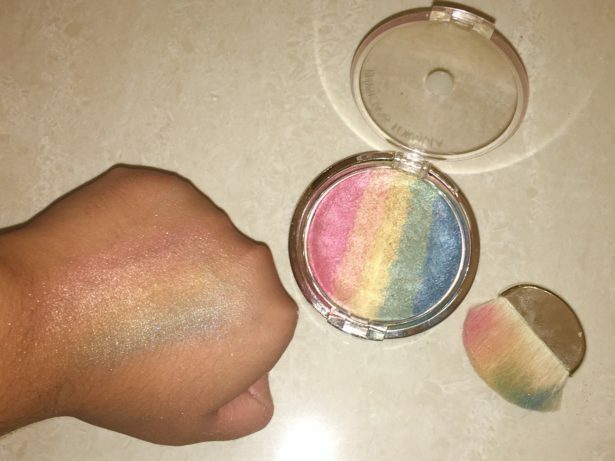 I was really amazed with this DIY project because the product was so natural (as natural as a rainbow highlighter can be, I guess . . . ) and it was one of the most fun beauty hacks to create! Overall, I was really impressed with these beauty hacks when I tried them because they actually were very successful and similar to products that I actually use. I am not going to sit here and tell you to switch all of your products to DIY creations because we all know that you won’t do that and, honestly, I won’t either because I love my makeup. However, if you are looking for a less expensive alternative then try them out! Or even try these beauty hacks out for the experience because it gives you a chance to be creative and it’s just super fun. Cuffing Season: Are You Ready?